When you go to the local nursery, garden center or when you buy a plant through the mail, it will be offered in one of five basic forms: Bare Root, Balled and Burlapped (B&B), Container Grown, Seeds or Bulbs. Each of these forms has its pros and cons depending on the type of plant, the size of plant and the time of year in which you hope to install it. 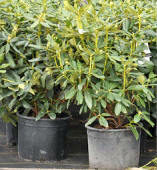 A. Bare Root - As the name implies, these plants are shipped to you without any soil surrounding the roots. This is an inexpensive way of handling plants but it has its limitations too. Since there is no soil to hold moisture, bare root handling is generally limited to deciduous plants (those that lose their leaves) during their dormant season. Larger evergreen plants should never be handled bare root since their needles or leaves will continue to lose moisture and cause real problems. Most fruit trees and some ornamental trees and shrubs are dug from their growing fields in the fall after the leaves have dropped. This will also include herbaceous perennials and bulbs harvested after their foliage has died back in the fall. Bare root plants are then stored in cold rooms over the winter. In the spring, they are removed, packaged and sent to the customers. The key to handling bare root stock is to avoid exposing them to heat which will begin to trigger new growth. Keep the plants as cool as possible until you are ready to plant them in the ground. Since they do not have any soil around the roots, the plants will still lose some moisture through the twigs and bark but will be unable to replenish it. That is why it is all important to not allow these plants to get warm and start to push out new leaves. This will greatly compound the stress from moisture loss which will cause woody tissues and buds to die and perennials and bulbs to dry up and shrivel away. Another minor "exception" is that very small, seedling evergreen trees are often handled bare root. In this case, their roots are wrapped in moist newspaper or other materials that keep them from drying out. Again, keep them cool, moist and get them into the ground as quickly as possible. B. 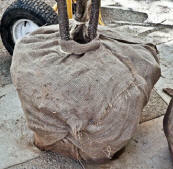 Ball and Burlap - Often, larger sized trees and shrubs of all types are dug during the growing season and their root mass is encased in a burlap ball. This is intended to keep as much of the root system as possible intact and covered in soil. The best use of this type of plant stock is when it is freshly dug during the current season. Sometimes, however, the plants don't get sold and are stockpiled over the winter at the nursery to be sold the following season. Although these plants are usually o.k., they have been subjected to an additional stress that freshly dug ones have not. C. Container Grown - Every time you walk into a plant nursery, you see black plastic containers filled with trees, shrubs, perennials and other plants. Technically, to be considered a "container" plant, it should have spent one entire growing season in the pot. When you pull the plant out of the container, its root system should stick together and the soil or growing media should not just drop off. Container grown items are the most flexible in terms of when they may be planted. Since the root system is always intact on these plants, they are less likely to suffer from transplant shock. 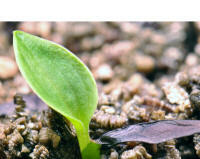 Therefore, they may be planted almost anytime the soil is workable i.e. not frozen or too wet, throughout the year. D. Seed - It used to be common to grow certain landscape plants, especially annuals from seed sown directly in the garden. Today, however, this is becoming a rare occurrence since transplants grown in the greenhouse are so readily available. Also, starting your own annual plants from seeds sown in the ground will delay the time when flowers will be available compared to using transplants. Of course, this drawback can be eliminated by growing seedlings under lights in the house so you can get them off to an early start. Seedlings purchased at the garden center or greenhouse should be treated just like other container grown plants. Most of these fall into the general category of bedding plants. The place where direct seeding often plays a role in the landscape is in self-seeding. Certain plants such as the biennial foxgloves (Digitalis purpurea) or Sweet William (Dianthus barbatus) need to be allowed to come up from the seeds they drop on the ground in order to maintain a continuous supply of plants. Also, a few short-lived perennials including some primroses (Primula sp.) or tickseed (Coreopsis sp) need to come up from seed to keep the flow of plants going. 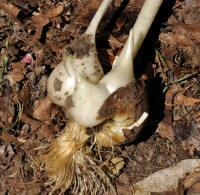 E. Bulbs - We grow a lot of different plants in the landscape that we lump into a group called "bulbs" although technically, many of them are not true bulbs in a botanical sense. In this group we include true bulbs like tulips, daffodils and lilies along with tuberous roots like begonias and cannas, corms including windflowers and gladiolus, and several others. The key to selecting quality bulbs is to buy the largest, firmest ones you can find. Since these are storage units, the larger the bulb, the larger the plant it will produce the following season. Any signs of rot or damage should send you running in the opposite direction. Now that we have explored the various ways that plants will come to us from the nursery, we can cover a few tips for planting each plant type including trees, shrubs, herbaceous perennials, annuals, bulbs and vines.